The 2020 Ford Bronco’s exterior partially leaked earlier this month. Using those details, IAB’s automotive illustrator Shoeb Kalania has created a rendering of the future SUV. Like all future global ICE-powered FWD/AWD unibody models from Ford, the Bronco will sit on the Ford Focus' C2 platform. Ford has three new SUVs in the pipeline for the U.S. market, the biggest one of which is a Ford Endeavour equivalent mid-size SUV. 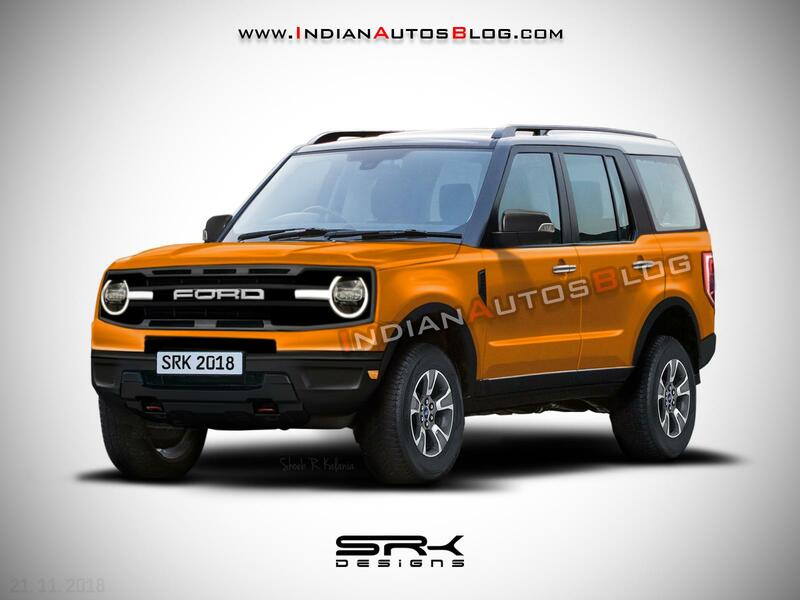 Before this model, the company will introduce the all-new Ford Bronco. It looks like a traditionally designed alternative to the Ford Escape. Keeping things simple and old-school, it will have a boxy body with straight lines, flattish roofline and hood, iconic round headlamps and large windows. Like the next-gen Ford Escape/next-gen Ford Kuga, the Ford Bronco will sit on the C2 platform that underpins the latest Ford Focus. Little is known about the engine line-up or any other specification for that matter, but the relationship with the compact car suggests that the options will include the new 1.5-litre EcoBoost turbocharged four-cylinder mill that is available in 150 PS/240 Nm and 182 PS/240 Nm versions. In that case, the transmission choices may include the B6G5d 6-speed Durashift manual and the 6F35 6-speed Durashift automatic units. While the Bronco will target customers looking for a traditionally designed urban C-SUV, the new tough mid-size SUV will target customers in the search for an alternative to the Jeep Wrangler Unlimited. This model will not only look more rugged but also handle diverse terrain better, thanks to a body-on-frame construction. 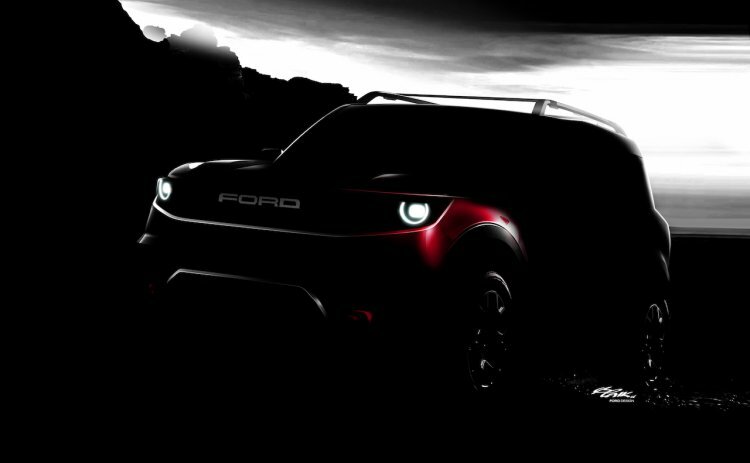 Thirdly, a baby SUV is lined up, which Ford teased with the image shown below earlier this year. This model would compete with the Jeep Renegade. Theoretically, the Blue Oval could have a new Bronco family of traditionally designed SUVs, with the B- and D-segment models carrying the same name, albeit with a suffix. Ford will launch a traditionally designed B-SUV to steal customers of the Jeep Renegade as well. The Bronco is completely irrelevant to the Indian market. Here, Ford's SUV range will have the EcoSport, a market-specific C-SUV co-developed by Ford and Mahindra and the Endeavour. A premium B-SUV like the Chinese Ford Territory going up against the Hyundai Creta is another possibility, but that's about it.